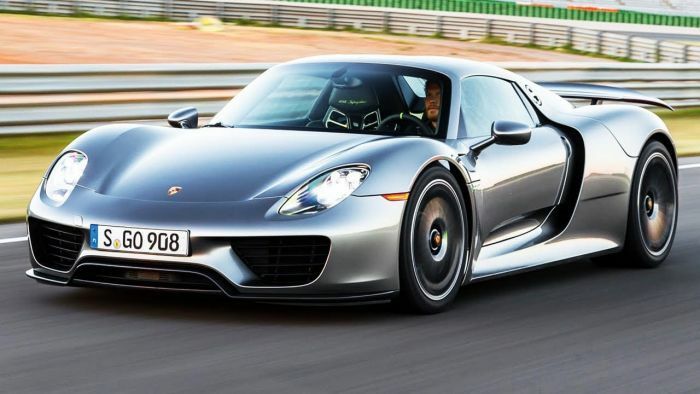 Porsche has issued a recall for roughly 300 of its 2015 918 Spyders. The problem is with corrosion in connecting arms that can affect vehicle control. Whether an automaker recalls one car or hundreds of thousands, the aim is the same: to keep the car owner or driver safe. Sometimes, an automaker may drag its feet for its own reasons, but, automakers usually post recalls on the National Highway Traffic Safety Administration website and with the agency quite quickly. Honestly, delaying a recall, no matter how many vehicles are involved, can be a public relations nightmare. For, once the information becomes known that an automaker has delayed or attempted to delay a recall, the public loses trust in the agency and the industry. That trust is necessary to a smooth-running auto industry. In this light, Porsche has announced it is recalling 305, 2015 918 Spyders due to a suspension problem. Specifically, there is a problem with connecting shafts. The problem has been found in the longitudinal and transverse control arms which can fail due to stress corrosion cracking. The automaker says it may impact vehicle handling. What they mean is that if the connector arms fail you lose control of the vehicle which can lead to a crash. Here is more information on the recall. Porsche will notify owners of the problem so they can contact their dealers and set up service appointments where the longitudinal and transverse control arms will be replaced free of charge. The recall is so new that the automaker has not yet provided the agency with a notification schedule. For further information, Porsche owners can contact Porsche Customer Service at 800-767-7243 and ask for information on recall AJ04. Or, owners can contact the NHTSA’s Vehicle Safety Hotline at 888-327-4236 and ask about recall 18V287000 or go to the agency’s website The NHTSA website listing.